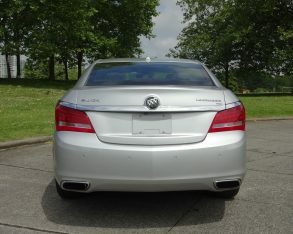 initially called the Allure in Canadian markets and was slotted in just below the Lucerne. 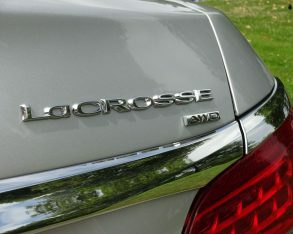 The LaCrosse came into its own a year later in 2011, when the Lucerne was discontinued and the LaCrosse promoted to flagship status. 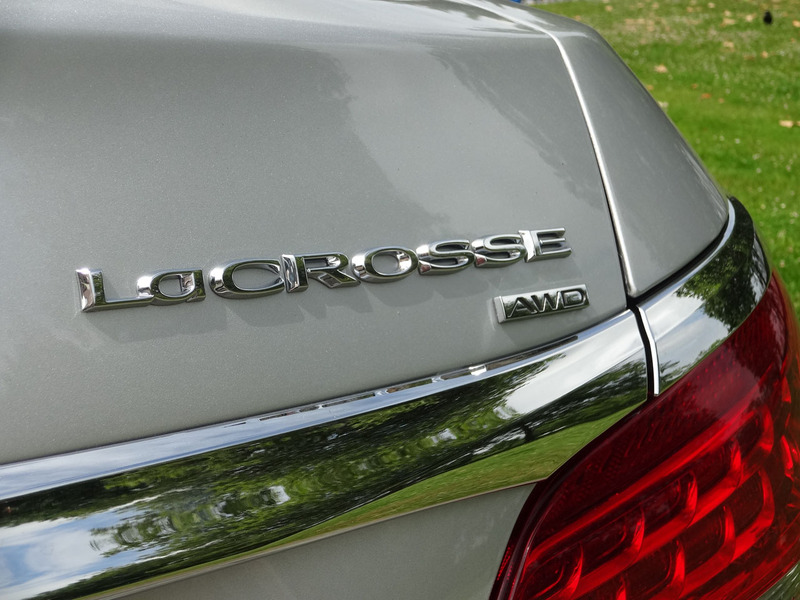 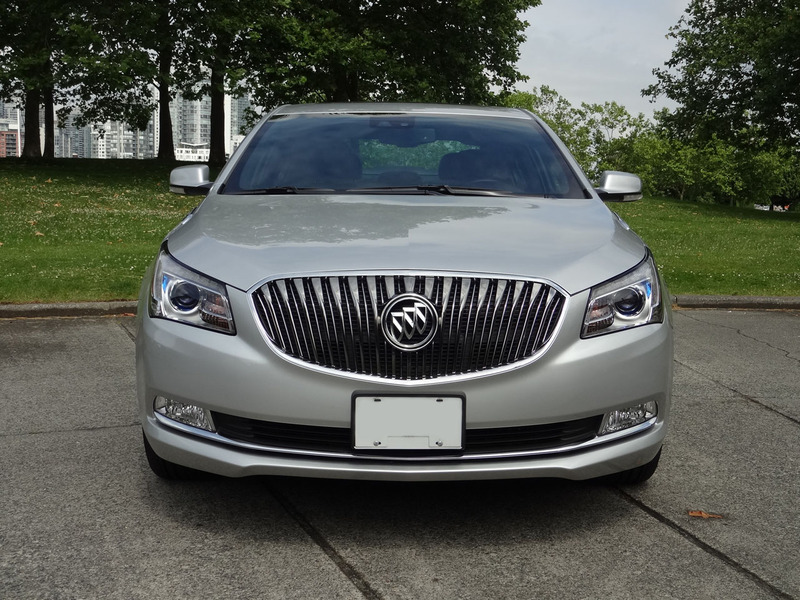 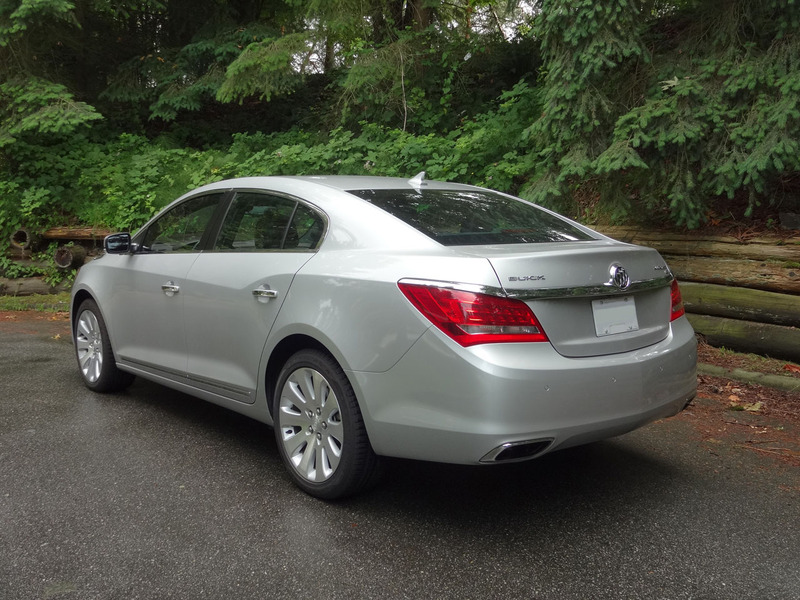 Model year 2011 also saw the Canada-specific Allure badging dropped, with LaCrosse now used in all regions in order to leverage Buick’s global marketing efforts (despite the name having a bit of a snicker-inducing slang meaning in Quebec). 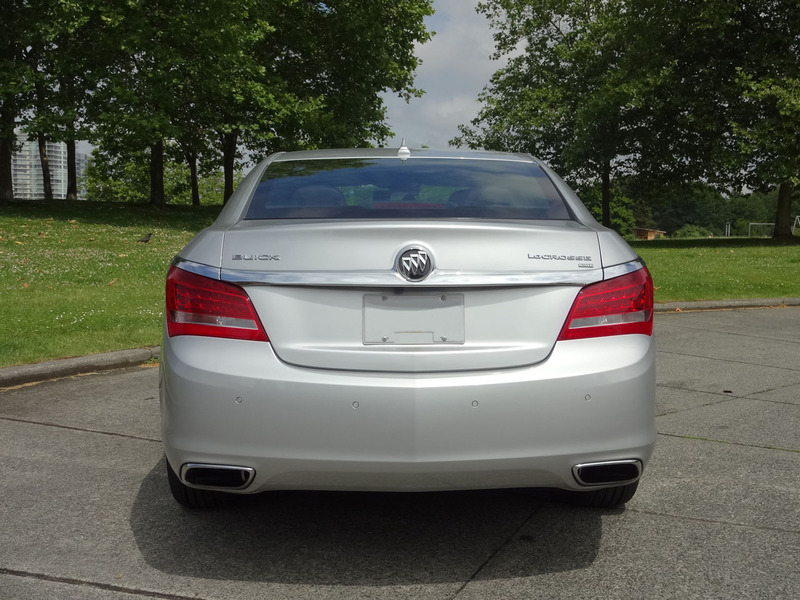 forward collision warning, lane departure warning, and rear cross traffic alert. 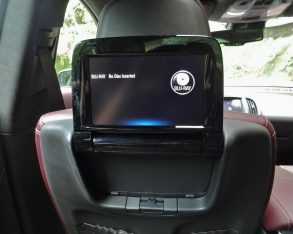 Those wanting the highest levels of available equipment may want to seek out the 2014 model even as the 2015s become available, because for 2015 (which will likely be the last year for the second-generation platform) the LaCrosse won’t be available with the rear-seat DVD entertainment system that was fitted to my Quicksilver Metallic test car, and it loses the power-operated rear child security locks in favour of manual child security locks. 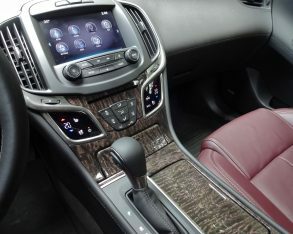 There are also a few exterior colour changes for the 2015s, a new following distance sensor indicator, and new OnStar 4G LTE with Wi-Fi Hotspot (both of which come bundled in some slightly revised equipment packages), but in most other respects there are no differences between the two years. 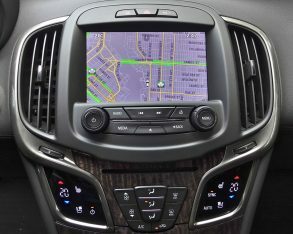 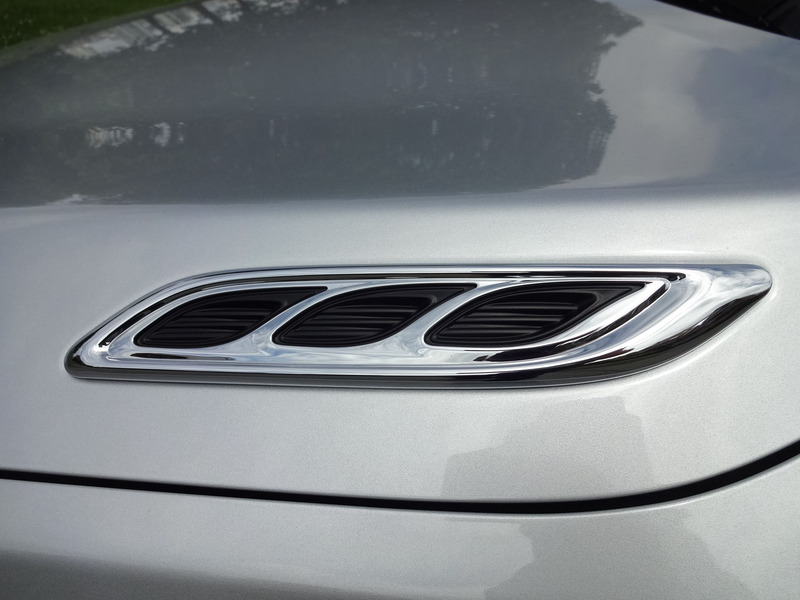 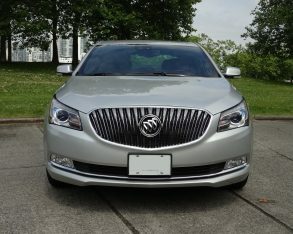 the hood, Buick’s flagship sedan is available with a choice of two drivetrains: The base drivetrain pairs a 2.4-litre Ecotec four-cylinder together with Buick’s eAssist mild hybrid system to supply 182-horsepower and 172 lb-ft to the front wheels via a six-speed automatic transmission with manual shift control and overdrive. 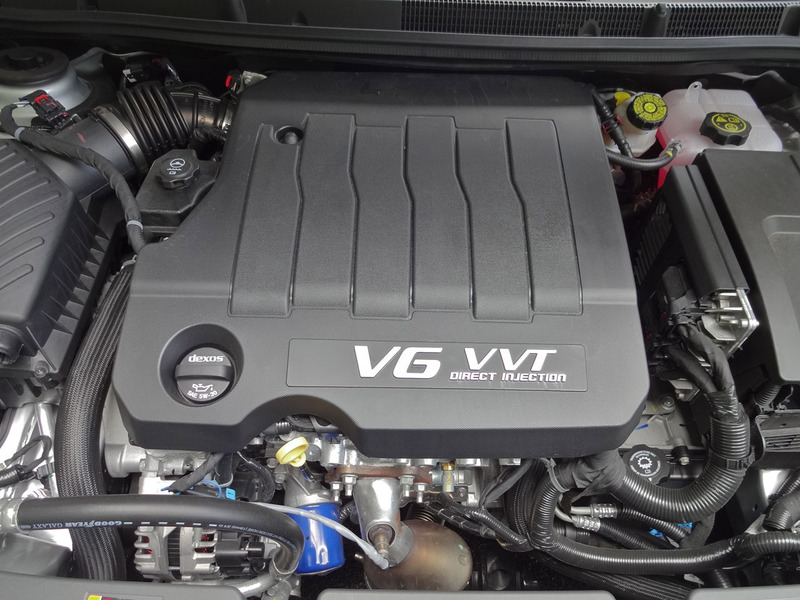 The optional all-wheel drivetrain, as fitted to my test car, features a 3.6-litre V6 that churns out 304-horsepower and 264 lb-ft of torque, fed to all four wheels via a confidence-inspiring Haldex intelligent AWD system. 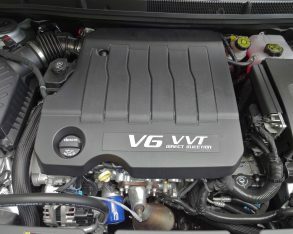 The V6 is well suited to the car, accelerating with a discreet throaty growl from 0-100 km/h in about 7 seconds (versus 9.5 seconds for the base car). 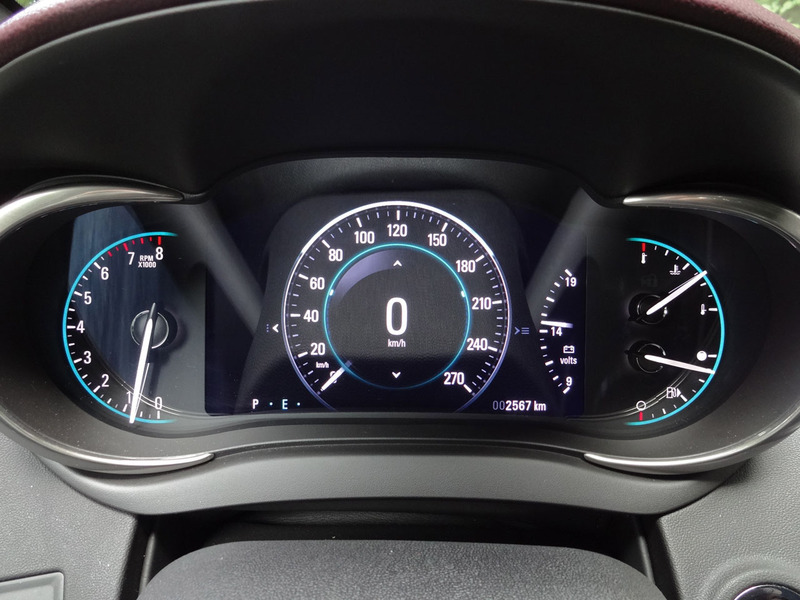 Fuel economy with the V6 is rated at 12.6 / 7.5 L/100km city/highway using the two-cycle 2014 test methodology, which works out to 13.9 / 9.1 L/100km using the more realistic 2015 five-cycle testing process. 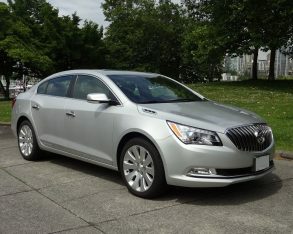 In my own mostly city driving I averaged just over 14 L/100km. as befits a full-size luxury-oriented car the LaCrosse is properly opulent, thoroughly comfortable and exceptionally quiet. 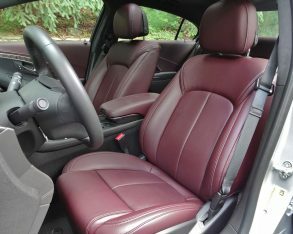 Base cars get cloth seating, but all the important surfaces are covered with rich-looking soft-surface materials (the door lowers and a few other bits are rigid plastic, but that’s about it), and there’s nice smoked metallic trim, a leather-wrapped tilt and telescoping steering wheel, dual-zone automatic climate control, ice-blue ambient lighting, power locks and windows with keyless entry, cruise control, and a selection of audio systems, each of which includes touchscreen control, satellite radio, and Bluetooth phone/audio connectivity. 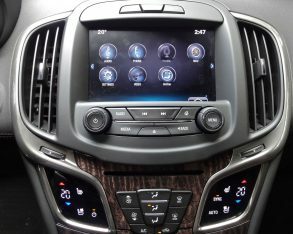 Available features include items like heads-up display, rear park assist, mirror memory, an oversize sunroof, HID headlights and more, bundled in a variety of packages and standalone options. 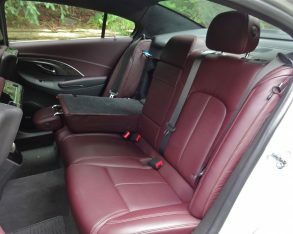 seats for both driver and passenger), leather-wrapped armrests, a leather-wrapped centre console, beautiful-looking genuine Shadow Tamo Ash wood trim, and a microsuede headliner and pillar covering. 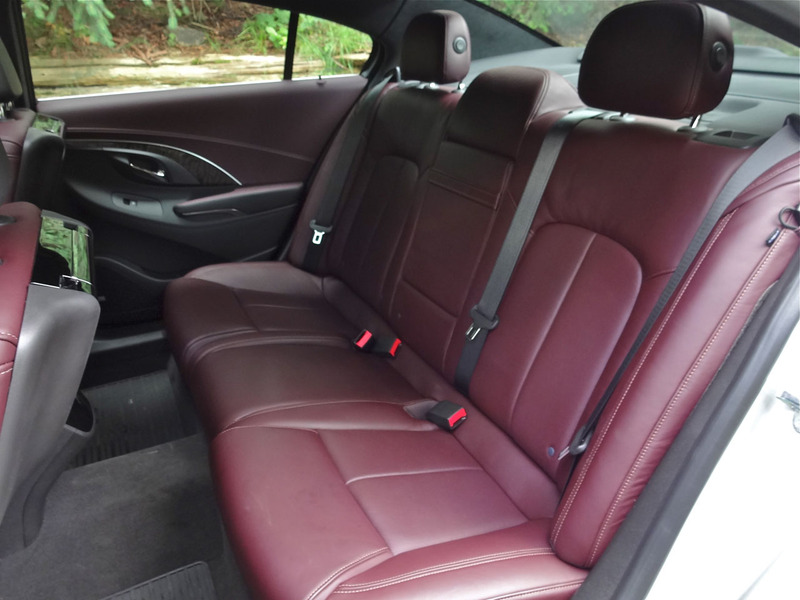 The front seats are amply proportioned yet still offer enough support to keep you in place around corners. 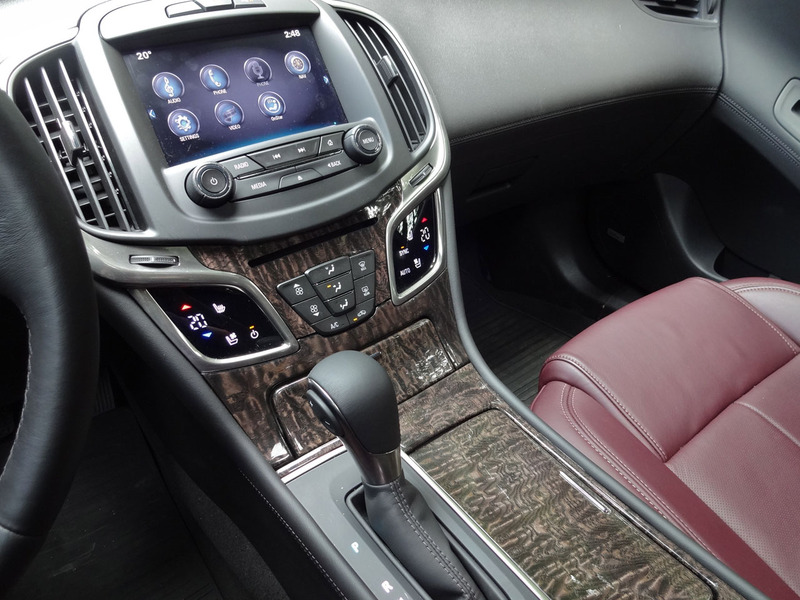 Models equipped with Leather Group and higher trims get a seemingly infinite range of adjustments thanks to eight-way powered seats for both driver and front passenger, while a driver’s seat memory system ensures you can always return to your preferred settings. 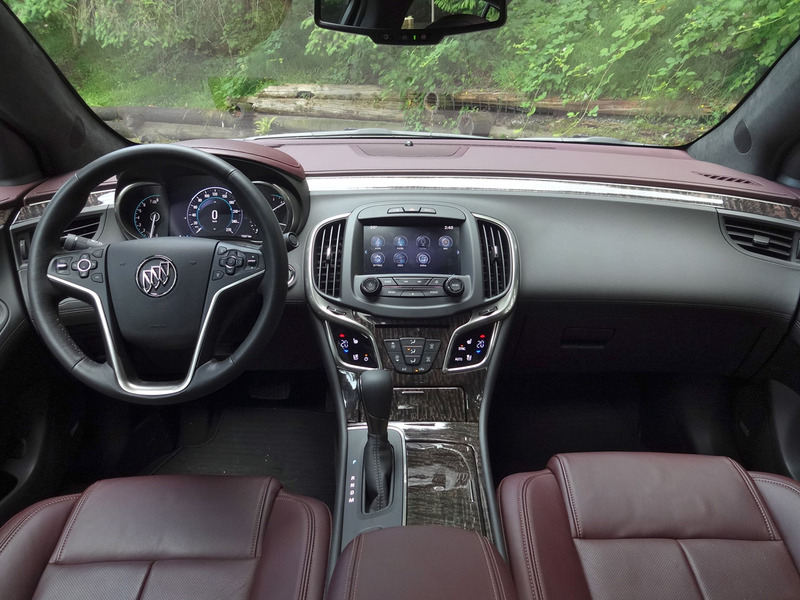 In the back, the LaCrosse offers near limo-like accommodations, with plenty of headroom and enough legroom for my six-foot-one teenage son to ride slouched down with his legs splayed out, as is his preference. 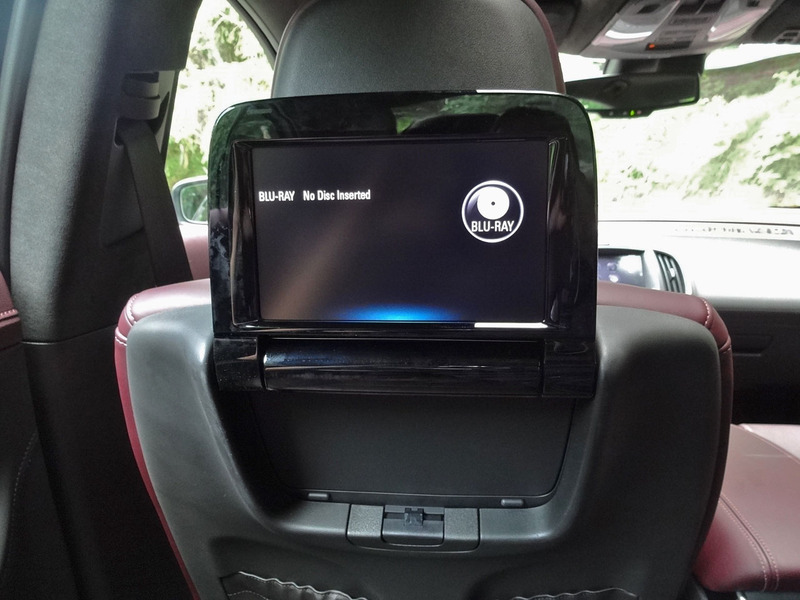 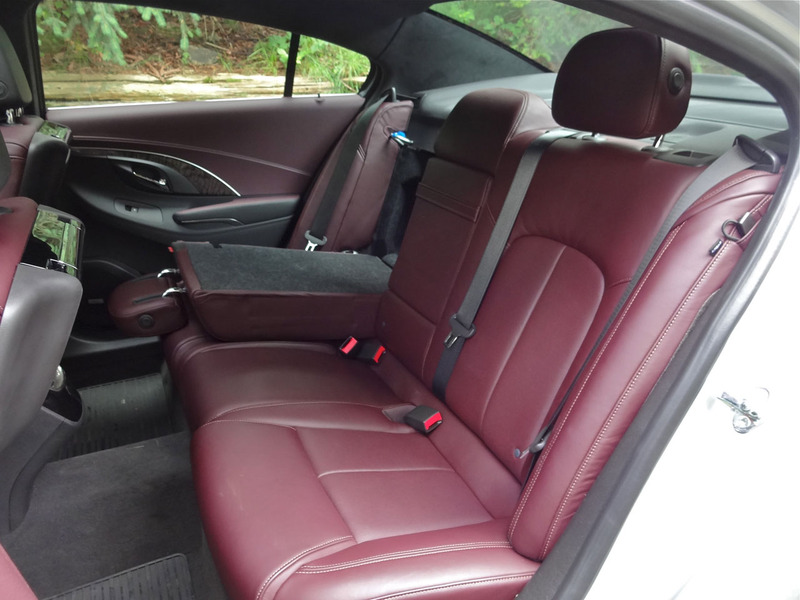 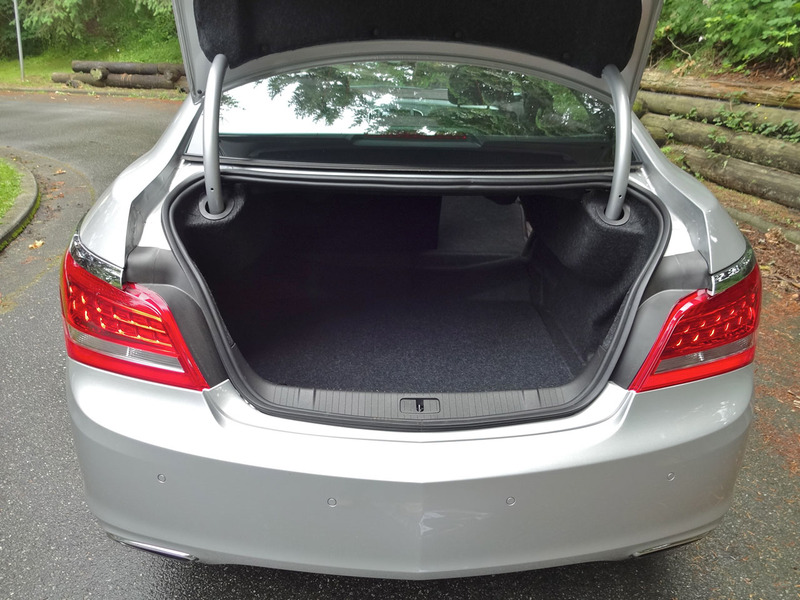 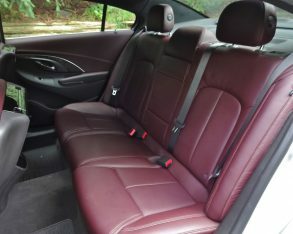 Between the supple leather, the ample legroom and the DVD entertainment system, he dubbed the back seat "swagalicious" and claimed the LaCrosse as his favourite ride of the year from a strictly rear-passenger perspective. 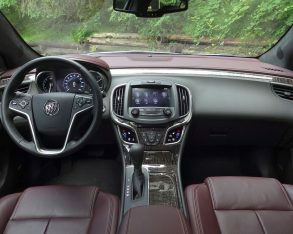 LaCrosse might also qualify as a favourite ride for those who like quiet, because Buick uses what it calls QuietTuning technology to create an exceptionally hushed cabin, with noise abatement methods including foam insulation blown into every crevice, liquid sound-deadener applied throughout the frame and body to absorb low-frequency noise, a multi-layered sound-absorbing headliner, and laminated acoustic glass all around. 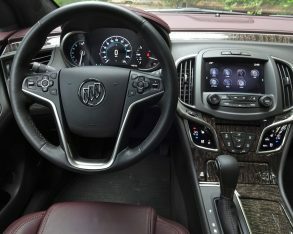 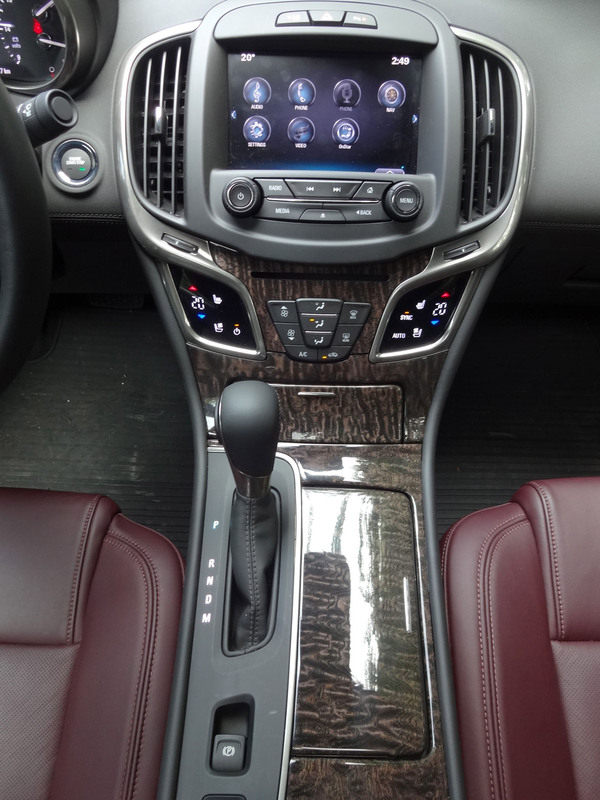 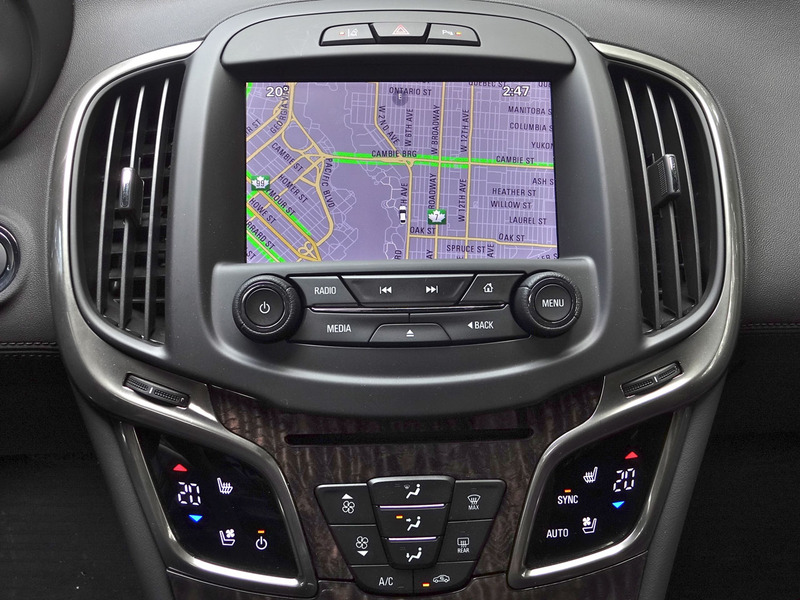 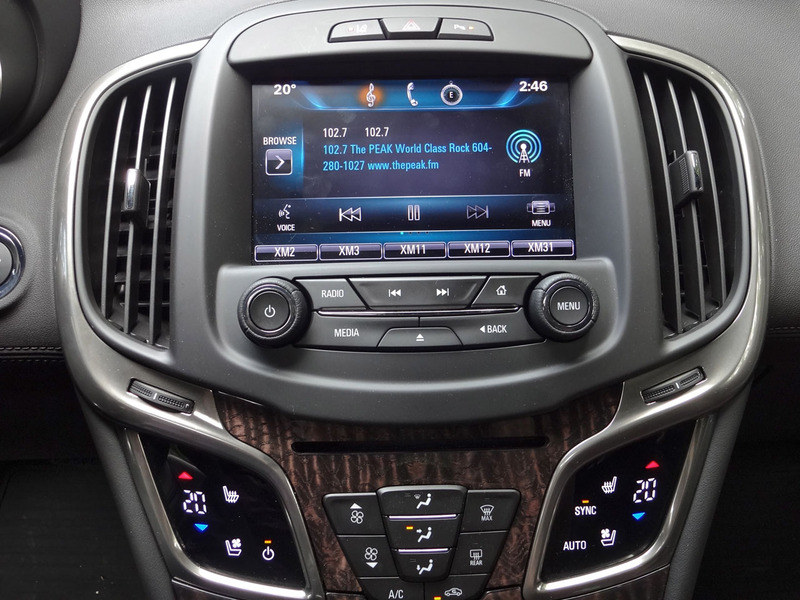 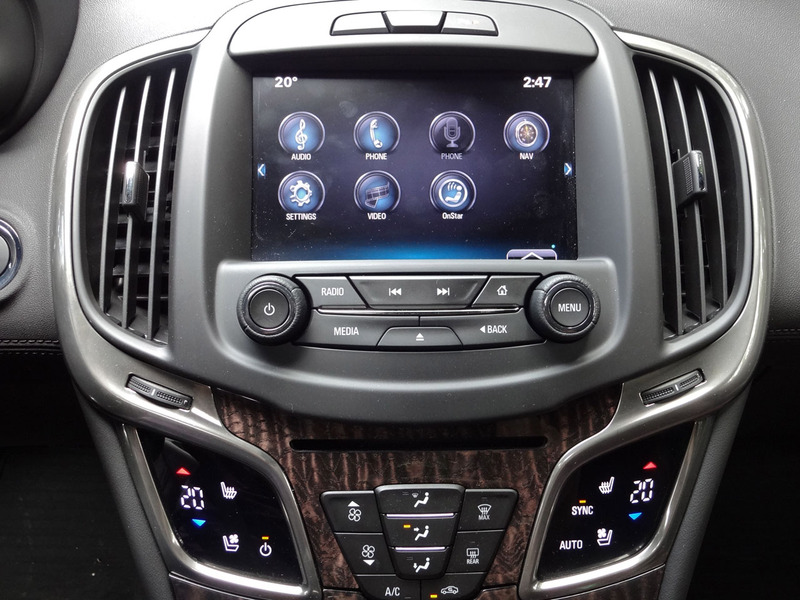 Even the sound of the turn signals and switchgear has been engineered for minimal acoustic intrusion, so aside from the occasional muted growl from the V6 during hard acceleration, there’s virtually no noise at all inside the LaCrosse to disturb your conversation or spoil your enjoyment of the audio system. basis of that brand’s Insignia, the Cadillac XTS and Chevrolet Impala. 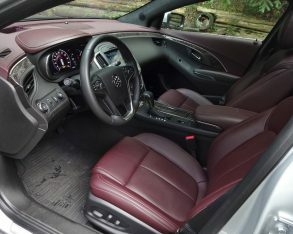 It features a MacPherson strut front suspension, four-link independent rear suspension, rack-and-pinion electrically-assisted steering, and four-wheel anti-lock disc brakes to provide a supple ride together with well-controlled – if not terribly engaging – driving characteristics. 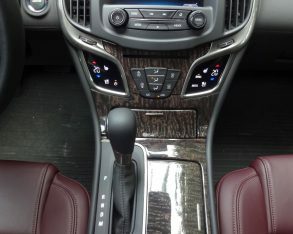 If you push it hard it exhibits a fair bit of body roll and the tires start howling in protest early on, but the European influence shows through with accurate steering, decent levels of grip, and good stopping performance. 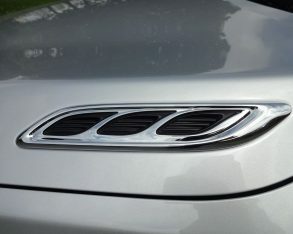 wide A-pillars up front and thick, swooping C-pillars at the back. 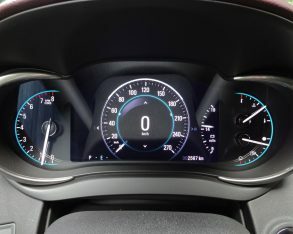 This isn’t likely a big deal for drivers who spend most of their time in suburban and highway driving, but it can be bothersome when manoeuvring around congested city streets. 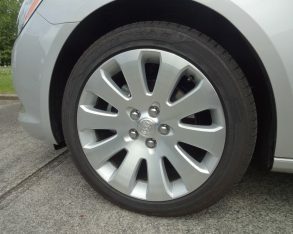 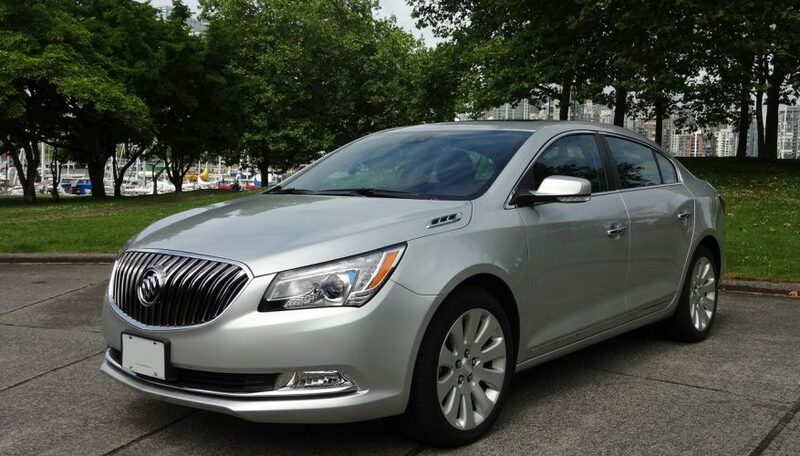 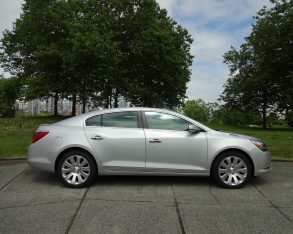 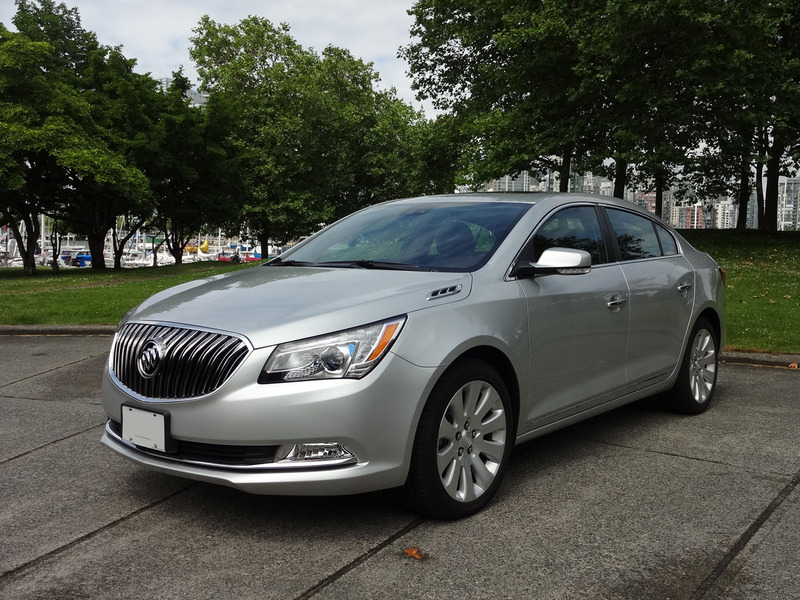 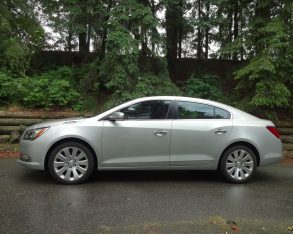 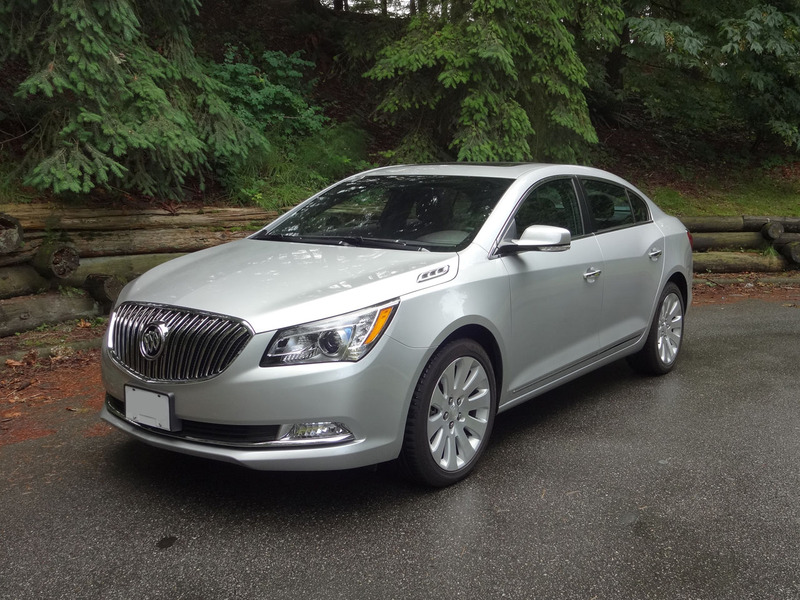 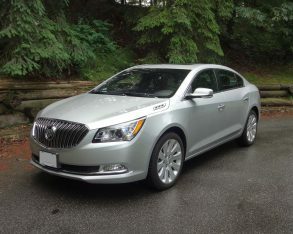 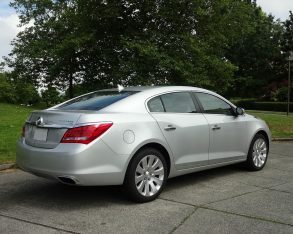 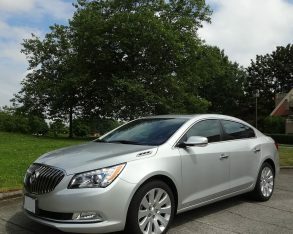 Pricing for the base 2014 Buick LaCrosse with front-wheel drive starts at $37,495 including the $1,700 destination fee. 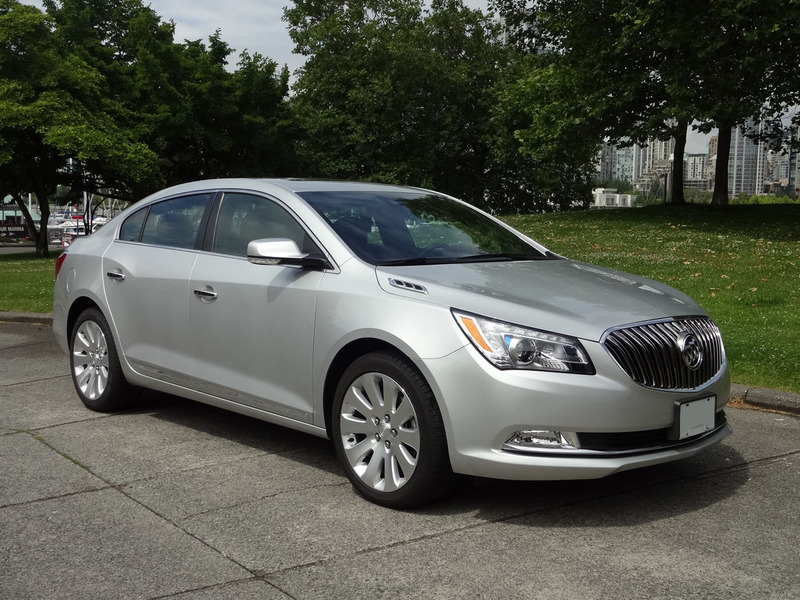 The V6 AWD version, which includes the Leather Package as its base trim, starts at $43,595 destination in. 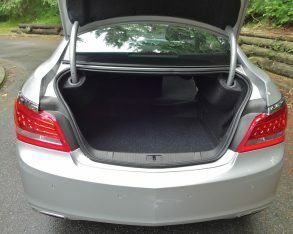 My fully loaded test car with the Premium I and Ultra Luxury Packages, Driver Confidence Package 1, and rear-seat DVD system topped out at $54,765 with destination. 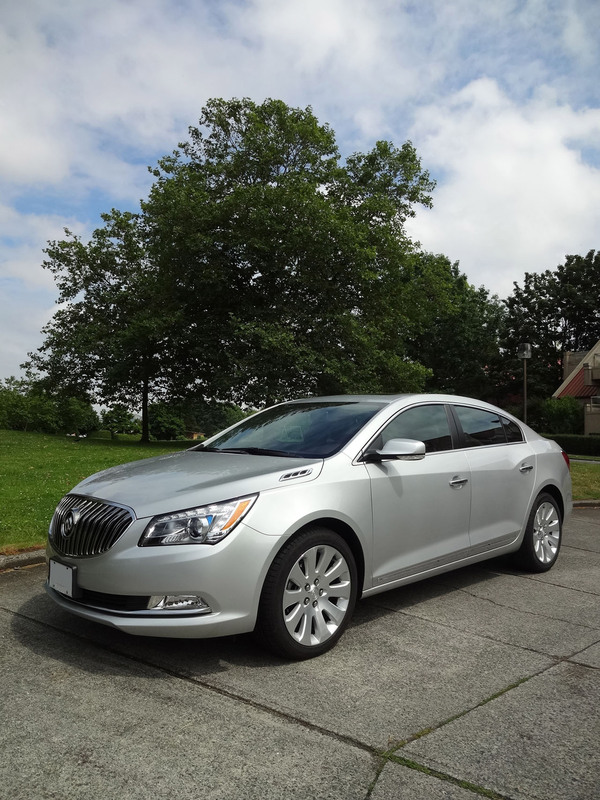 With that range of pricing the Buick LaCrosse is competitive with rivals such as the Chrysler 300, Lexus ES 350, Nissan Maxima, Toyota Avalon, and Hyundai Genesis. 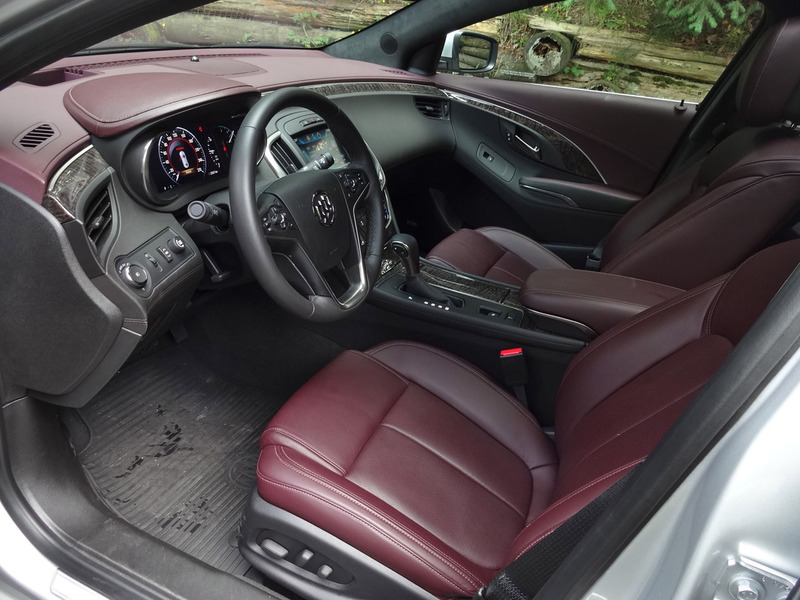 What differentiates the LaCrosse is its exceptionally roomy and quiet interior, together with its wide array of available comfort, convenience and safety features. It adds up to an opulent take on the full-size sedan, and one that successfully puts passenger comfort front and centre.